WE HAVE WORKED HARD TO SOURCE LOCAL, HOME-MADE PRODUCE AND SUPPORT LOCAL BUSINESS. 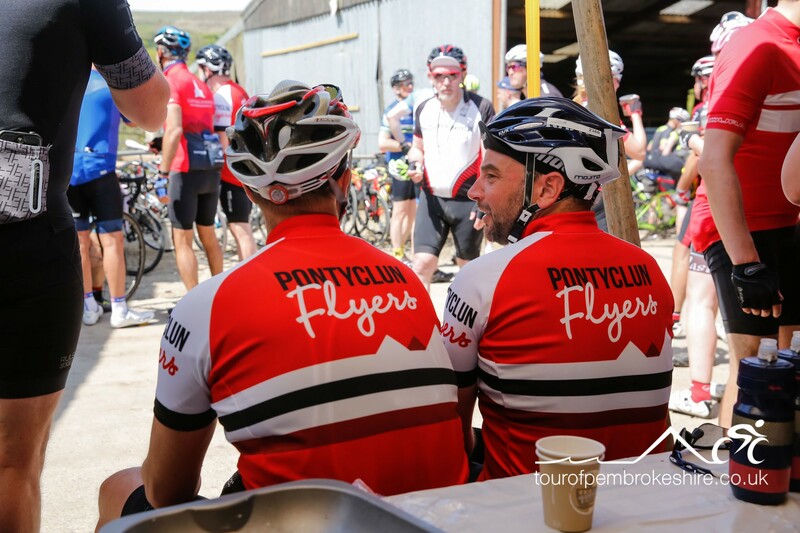 RIDERS TELL US THAT THE DELICIOUS FOOD AND ATMOSPHERE GIVES THEM SOMETHING TO LOOK FORWARD TO WHILST THEY’RE WORKING HARD IN THE PEMBROKESHIRE HILLS. The feed stations at the Tour of Pembrokeshire have become a favourite amongst cyclists. They are stocked with delicious food, energy drink and even cups of tea. 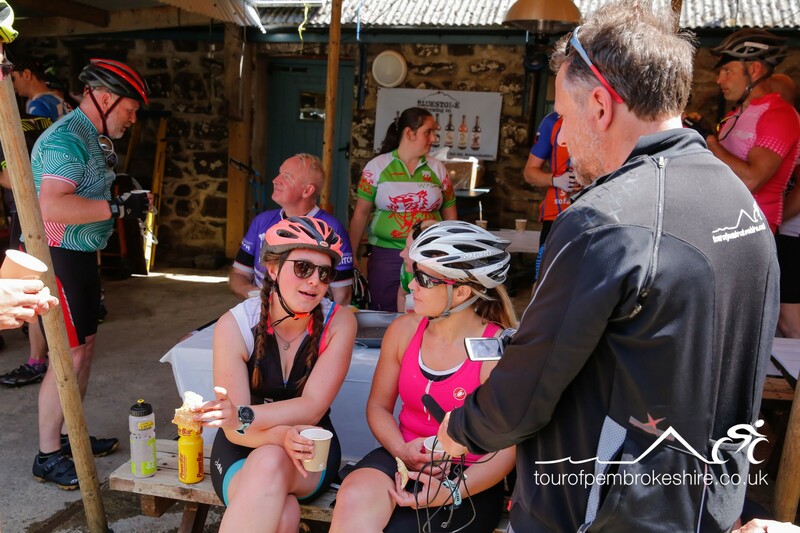 Blackboards are available for riders to leave messages for their friends and bike spares are available to help people complete their ride. They occur at approximately every 25 miles. 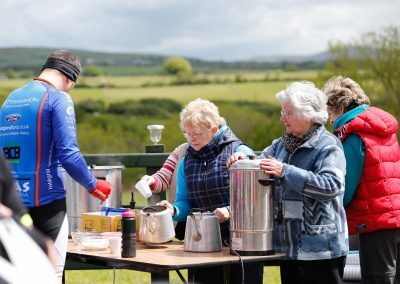 Riders on The Paul Ties 106, will have a feed-station at Little Haven by The Corner Cafe which will be manned by Milford Haven Sea Cadets. 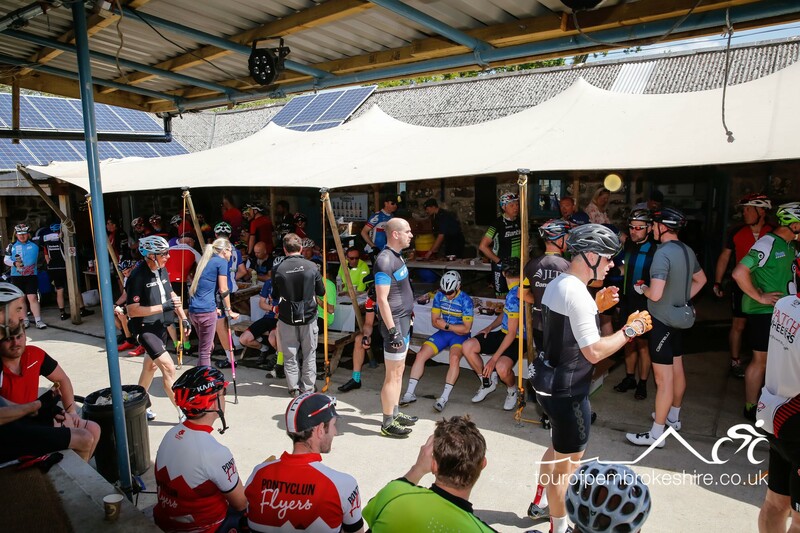 The other feed-stations are situated at Maenclochog, the Bluestone Brewery and after the Continental Tyres Hill Climb at Stop and Call. 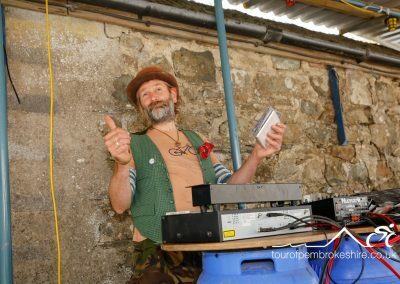 They are very ably operated by the Whitland and Haverfordwest Air Cadets and the villagers at Stop and Call and Maenclochog and the staff at Bluestone Brewery. 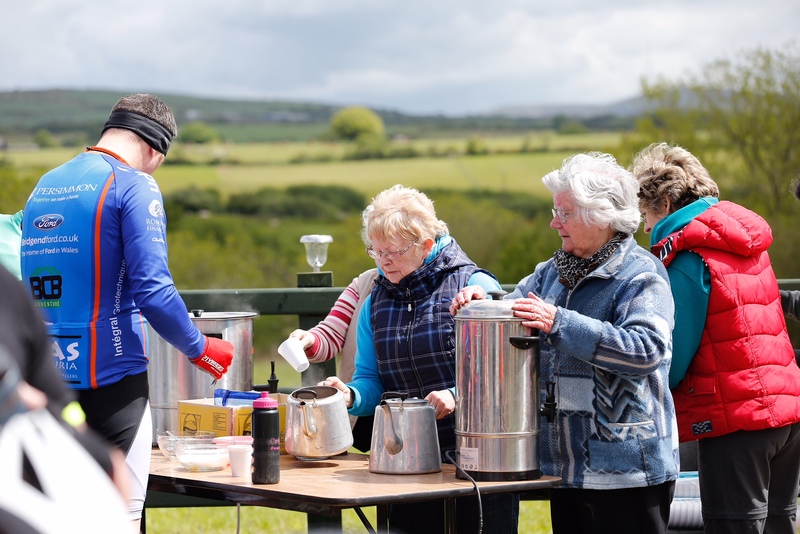 Rider feedback of their excellent care and attention has made them very much a part of the event. 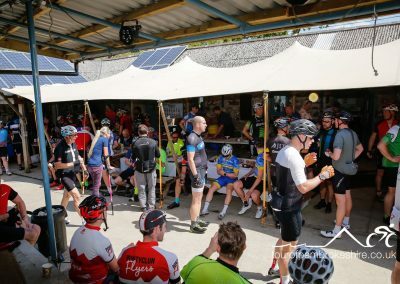 Please refer to the route pages for feed-station locations and distances and the Timings Schedule for opening and closing times. 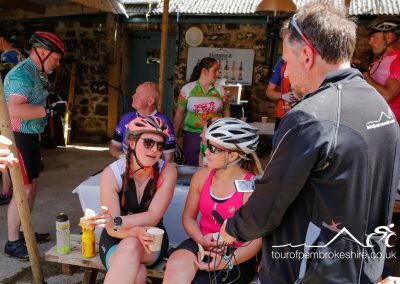 We think it’s important that you get a taste of the area when you take on the Tour of Pembrokeshire and so we source everything we can from within the County. To help you plan the nutrition for your ride please see the list below. Our food suppliers are: Crug Glas Country House Hotel, JK Lewis Bakery Crymych, Farmers Jam Fishguard and Total Produce Fishguard. Secret Training Energy Drink.